Babe Ruth was "like Kanye slash Obama slash Trump slash a Kardashian, all rolled into one," the writer Will Leitch says. 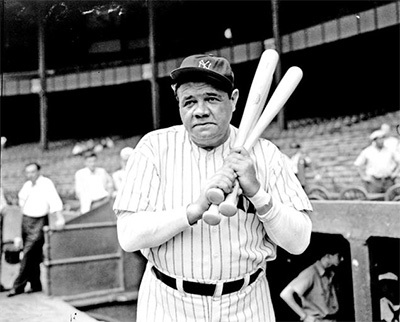 Ruth used his powerful left-handed swing to rise from reform school kid to perhaps the greatest player — and biggest boldface name — in baseball history. His journey is such a compelling study of sports greatness and celebrity that the folks at Major League Baseball can't get enough.